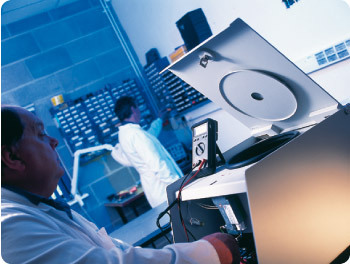 Meadowrose Scientific is an ISO 9001: 2015 accredited company. That means we ALWAYS work to recognised, accepted standards. That means you can be sure that the service we provide will always be of the highest order. That's a fact we're proud of. Our commitment to quality isn't solely a product of our ISO accreditation; it's what enabled us to receive that accreditation. The fact is: ISO standards are in keeping with our own – as are UKAS standards. UKAS accreditation is something we are working towards, and which we will make quite sure we get. The result? More peace of mind and reassurance for you. Quality is central to our company culture. That has many advantages for you. Our commitment to excellence means we're consistent, and that our technical and customer service standards are always high. It prompts us to constantly assess our performance, and to develop and improve wherever possible. It also means we do what we say we're going to do.